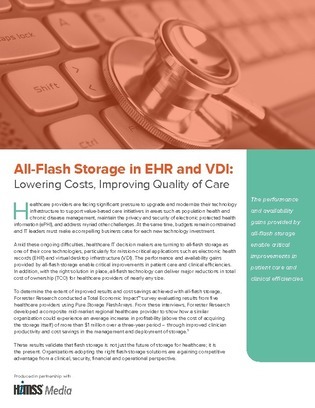 Forrester Research conducted a Total Economic Impact survey to determine the extent of improved results and cost savings that healthcare providers achieved using all-flash storage. The results? An average $1M increase in profitability over 3 years. These results validate that flash storage is not just the future of storage for healthcare; it is the present.